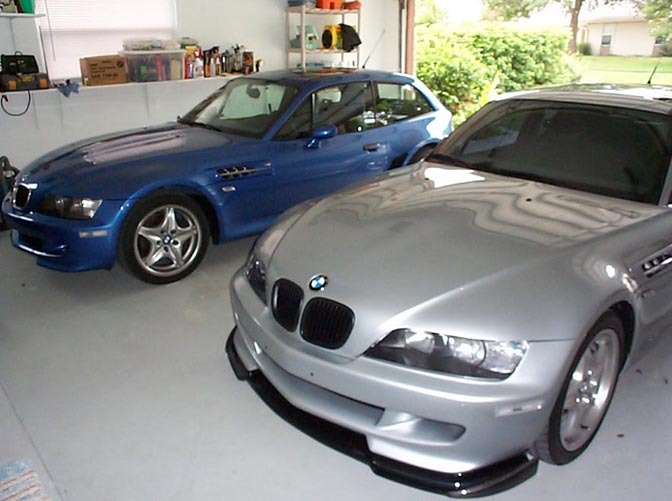 I've seen your Z3 Garages page and thought it would be great to contribute our Coupe pics! We've never had to experience city life and feel for you all that have to keep your babies in cramped up Urbanism. Here is where our Coupe' rests, eats & sleeps day∋ght. 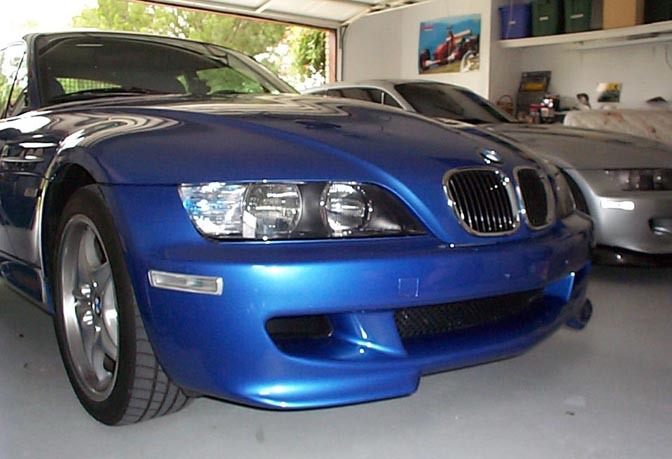 LilBadM is ours, he's a 00' Estoril ///M Coupe. We live in Sunny Central Florida, where the weather is always great to take a ride. The Coupe' has friends that come over and play now & then... Today Vince stopped by with his 99' Artic Silver Hamman Coupe. I think LilBadM is getting Jealous of Vince's Hamman aero styling. Our Coupe' doesn't have a formal name, he's just our "Coupe" the one and only. The Coupe' gets a quarterly treatment of Zymol's best, Vintage... If you all know about Zymol then you know what an amazing Glaze Vintage is. Vince's Coupe is just as lucky but currently has Zymol Titanium until we can have a day at it with the Vintage or Atlantique. 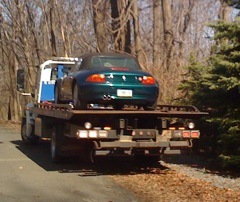 The Coupe' will soon have a little brother to share his space with. Our Mini-Cooper S will be in by the end of the year and I still can't decide whether to get Electric Blue to match the coupe with the two-tone blue leather or Dark Silver for a different look. Who knows... but I can't wait for my MINI!! !